ANIMAL EYE CLINC has been established and servicing the DFW metroplex for 25 years. 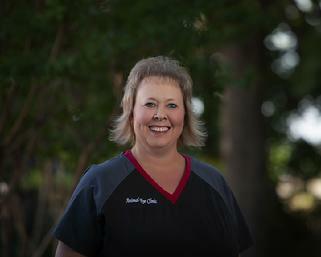 Mandie has been with Animal Eye Clinic since 1997. 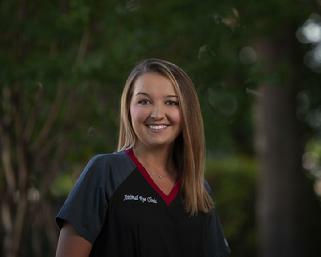 Before she was hired at Animal Eye Clinic, Mandie was in high school and working for an emergency veterinary hospital where she met Dr. Paulsen. After she left the emergency clinic, she enrolled in college and intended to be a full time student. Dr. Paulsen had other plans for her and called her to become his first employee. Mandie considered that to be an exciting opportunity and jumped on the chance, which changed her life forever. 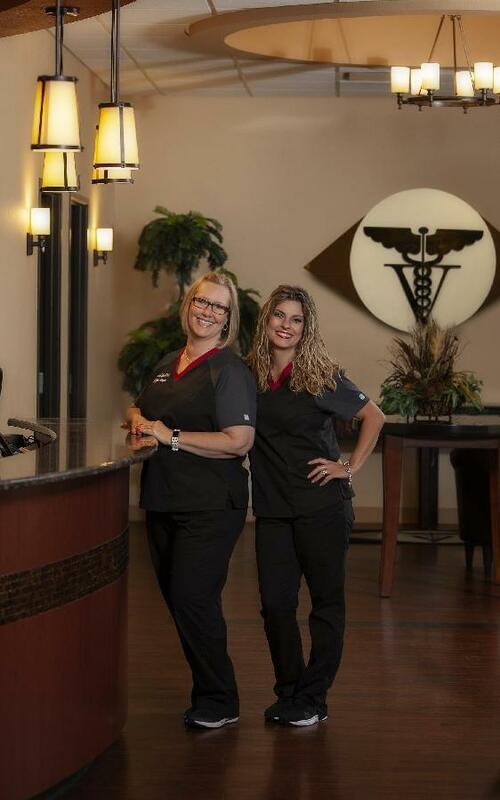 She started as Dr. Paulsen's receptionist, and through Dr. Paulsen's rigorous training and attention to detail, she became his valued technician. 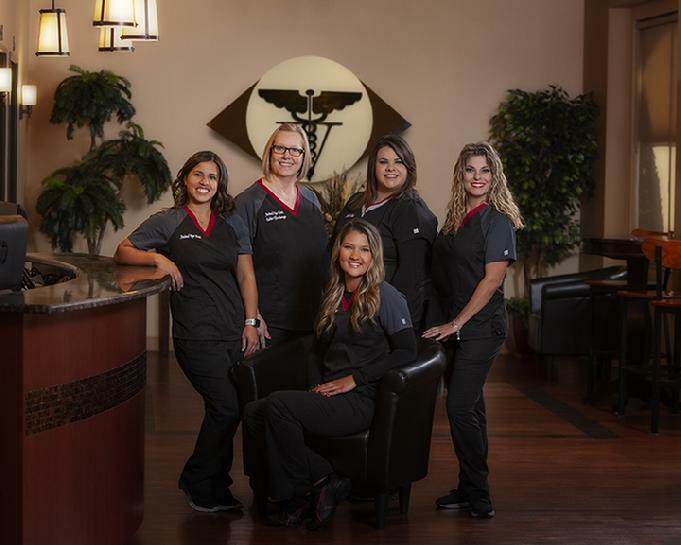 Together, they served the Metroplex whole heartedly and have watched the practice grow from its humble beginnings to a thriving multi location practice. 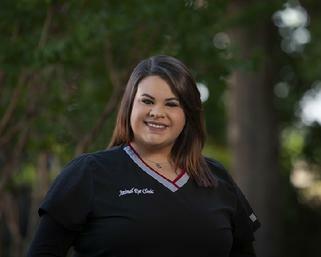 She now not only serves as a surgical technician but the Practice manager and Property manager for Animal Eye Clinic. She carefully designed the floor plans and the layouts for each of our clinics with our clients and patients in mind. She adores Animal Eye Clinic, as well as the clients and patients that set us apart. At Dr. Paulsen's urging, she left Animal Eye Clinic briefly from 2000-2004 to complete her Bachelors of Science in Biology from Stephen F. Austin State University. She is highly skilled in triage, diagnostic testing, surgery, and surgical recovery. She has vast knowledge in veterinary pharmacology, and has over 160 hours of Ophthalmic Continuing Education. Mandie is married and has two precious children. 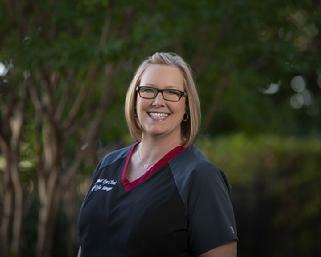 Debbie has been with Animal Eye Clinic since 2008, and is the Office Manager for our Fort Worth location. 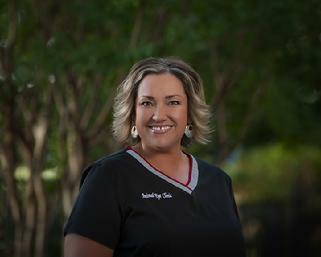 Before she came to AEC, she practiced as a certified medical assistant for over 20 years in Oklahoma. Debbie began in reception, but quickly proved her value as a technican. She is highly skilled in triage, diagnostic testing, and surgical recovery. She is currently completing CE and training for a surgical technician position as well. She quickly climbed the ladder and earned her title as office manager because of her kindness, professionalism and ethics. Her skills, compassion and energy compliment Animal Eye Clinic. She has completed over 50 hours of continuing education, and is looking forward to a busy CE schedule in 2018. Debbie is married with four children and 6 beautiful grandchildren, and has two doggies at home. We are committed to exceptional customer experience through service excellence. Our veteran support staff is equipped with the resources, longevity and expertise that you and your pet deserve. 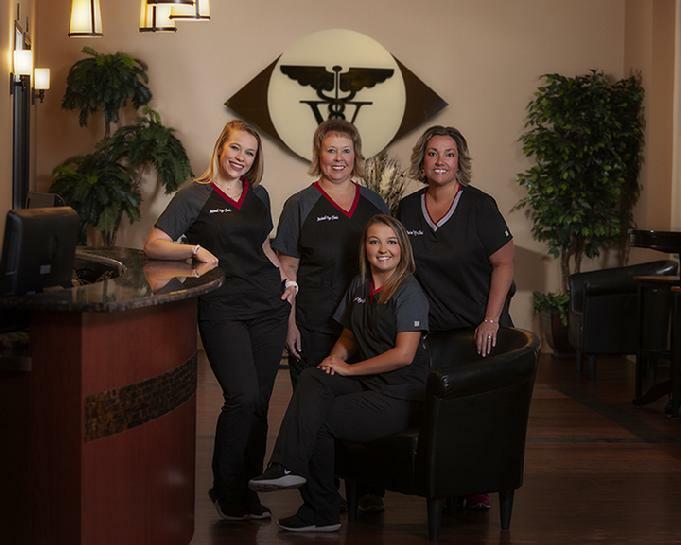 With a combined sixty years’ experience at ANIMAL EYE CLINIC and nearly one thousand hours of ophthalmic continuing education, our knowledgeable staff is able to help provide fast and accurate answers. Advanced training, in conjunction with our computerized paperless office makes it fast and easy to get help and maximizes the speed and quality of our response. Our reception staff are here to serve you! Carlotta joined our family in 2011 as our receptionist. She has been a receptionist in the veterinary industry since 1997, and is currently our head receptionist. Carlotta finished her technican training in 2015, but her heart is with reception. She is highly compassionate, and strives to provide the best service possible to our clientele. She is well organized and dedicated to serving Animal Eye Clinic's clients and patients. Animal Eye Clinic stole Christina from the human side of the pharmaceutical field in 2016 where she thrived for 5 years. She agreed to join us because of her passion and love for animals. Christina is a receptionist and often refers to her job here as "her dream job". Her happiness shows every day when she arrives to work with a smile on her face. Her bubbly personality is easy to love and she showers our patients with love! Christina has been married for 19 years and has two grown children. Her oldest child, Brittani, is expecting Christina is excited to meet her first grandchild in July. She has two dogs named Tooter and Gunner. Sidney joined our reception team in 2017 from human optometry. Sidney has a love for animals and eyes, which makes her a perfect fit for AEC. Sidney is an excellent receptionist, but is very excited about starting her technician training. She is a very valuable asset to Animal Eye Clinic and we are proud to have her representing our clinic! Her goal is to complete college and pursue a career in the human medical field. In her free time, Sidney enjoys crafting, archery, boutique shopping and traveling. She loves spending time with her cat Piper. Rhianna joined us as a receptionist in 2018 from the human field. We offered her a job in 2014, when she wasn’t looking for one, and we have kept in contact with her through the years. We were very excited when she contacted us and offered to come aboard. She is brilliant, well organized and extremely kind. Her calm demeanor is very valuable to our reception office. AEC has big plans for Rhianna! She has a treasured son that keeps her heart full. Rhianna is passionate about physical fitness and helps the rest of us meet our goals. Our dedicated and highly trained technicians. 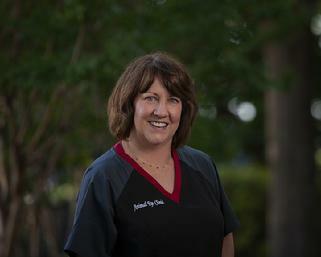 Wendy is Dr. Paulsen's surgical technician and has been with Animal Eye Clinic part-time since 1997. 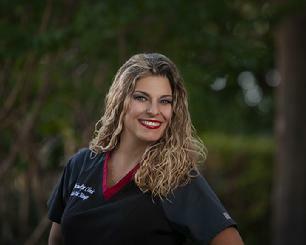 Before she was hired at Animal Eye Clinic she was a full time surgical technician for an emergency hospital. She currently splits her time between both clinics. Her anesthesia skills are remarkable and her compassion is endless. She is happily married with two Australian Shepherds. Cortney joined Animal Eye Clinic in 2014 and has proved herself to be a valuable asset to us and our patients. She is able to perform reception duties in addition to her technician duties. Cortney has one daughter, Sydnee. She also has four dogs and three cats. 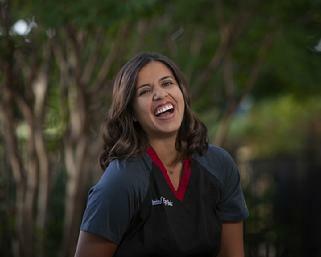 Courtney began her career in veterinary medicine in 2008 as a kennel technician. She worked her way up to technician and in 2017, Animal Eye Clinic hired her away from the excitement of emergency medicine. 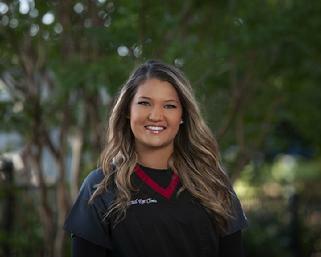 Courtney knows every facet of our field and easily helps out wherever she is needed. Courtney is exceedingly skilled and is a very fast learner. Within weeks of her hire date, Courtney caught the “eye bug” and cannot seem to learn fast enough to satisfy her curiosity! She loves eyes and helping our patients. Courtney is currently enrolled in college and is very close to receiving her associate’s degree. Courtney is full of life and keeps all of us on our toes. She is always finding ways to make everyone smile and finds the good in all situations. She shares her home with a wonderful man and two labs, Moose and Diesel. Taunee joined our technician team in 2017. She has been a veterinary technician in general practice for over 7 years and her expertise is advantageous to all of us. She is extremely compassionate and dedicated to her field. Taunee is proficient in medical terminology, triage, pharmacology and surgery. She is always excited to lend a hand and steps in wherever she is needed. 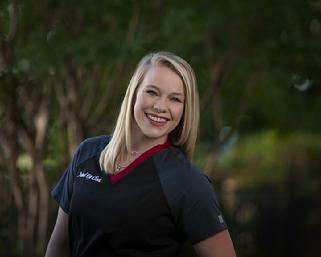 Before she entered the veterinary field, she received her certificate in medical administration. Taunee has a beautiful daughter that is her inspiration.